My version of butternut squash pasta rejects a blended sauce in favour of beautiful chunks of squash cooked in wine with rosemary, bacon and chili. 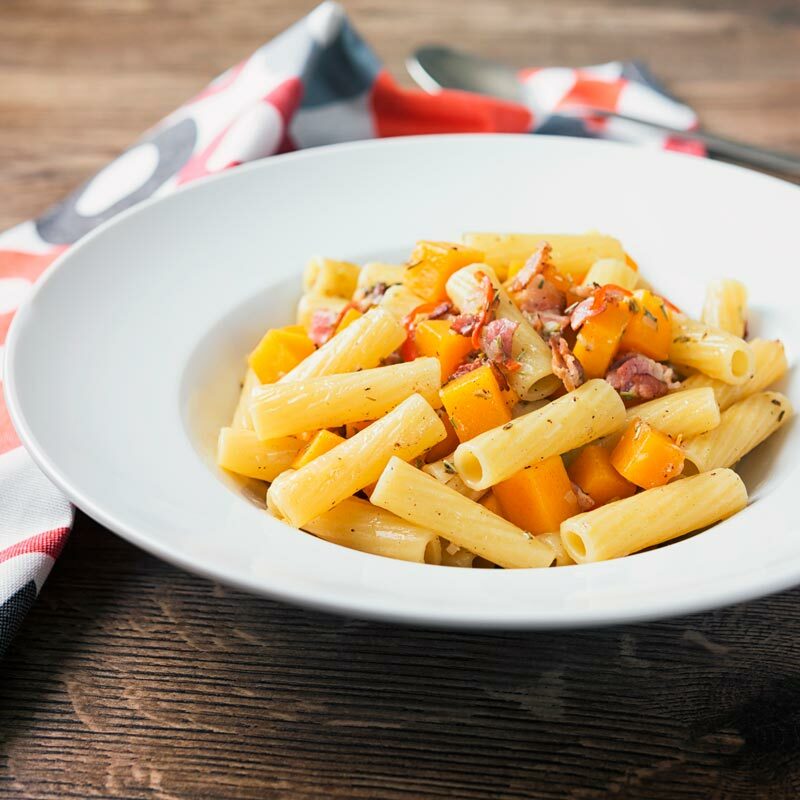 Often squash or pumpkin pasta recipes take the form of a blended sauce, this recipe is a little different. It features cubes of butternut squash cooked in bacon and chili… I know right! Bacon and chili! It also has a little white wine and some rosemary. It creates a recipe that feels a little more substantial and filling. The lack of blending the butternut squash also result in less washing up. This, according to my wife, is a very good thing. Primarily because we have a ‘cook never washes up’ policy at home. The flavours are really clean and whilst the recipe is not a 30-minute wonder it is incredibly simple to cook. Butternut squash represents a challenge to folk like me that primarily cook for two people. I thrive on variation in my diet so always try to have a lot of recipes lined up when I am cooking with butternut squash. I could of course cut and prepare the squash and freeze it up. But my ‘freezer management’ skills are not exactly at ninja level. I much prefer to use a small squash and prepare and eat it in different ways. So this week we have this butternut squash pasta, a new North African lamb kofta with roasted butternut squash. I even managed to squeeze out a version of a Burmese Pumpkin Curry using butternut squash. One simple and cheap ingredient striding across the globe! 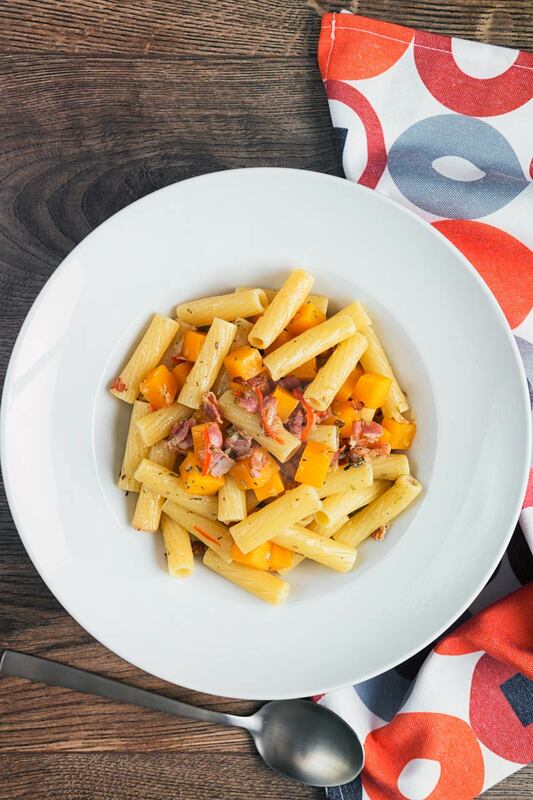 What Pasta Goes Well With Butternut Squash? As you can see from my pictures my choice of pasta for this pasta recipe is rigatoni. It would work just as well with something like penne pasta too. The sauce for this recipe is quite thin and not clingy so long thin pasta like Tagliatelle, Fettuccine or Spaghetti. A good left field option would be to use pasta shells, Conchiglie. 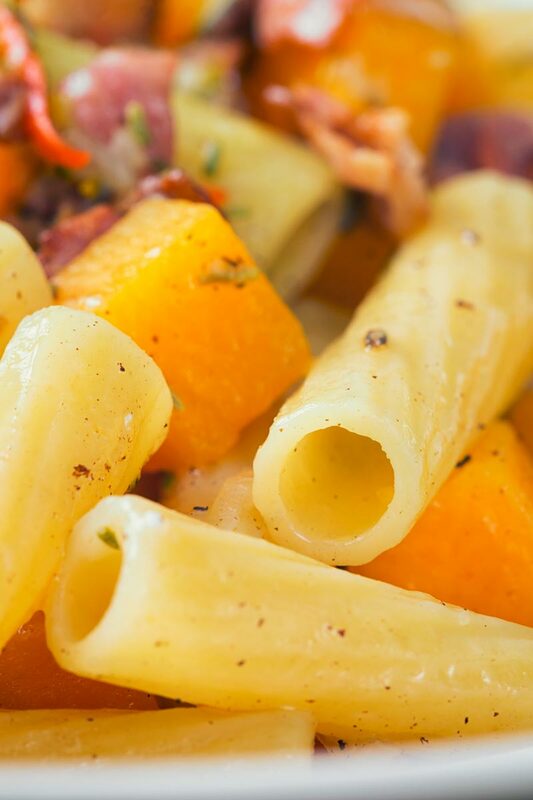 In fact, this butternut squash mix would make a great base for the stuffing in this stuffed pasta shell recipe. Essentially you are looking for something with crevices to allow the sauce, bacon and chili to hide. As a word of caution, this recipe requires quite a lot more salt than you may think. My initial thoughts were that with all of the bacon and parmesan cheese that this dish would need no more salt than the water that the pasta cooks in. I was wrong, quite spectacularly wrong! It is difficult to give an exact amount of salt as not all salt is made equal. But you should definitely season and taste as you go. A taste of the sauce that the butternut squash is cooking in should steer you in the right direction. Peel and cut your butternut squash into 1cm cubes. Finely dice your chili and shallot. Slice your bacon into 5mm strips. Heat a heavy based pan over a high heat and when hot add the oil. Add the bacon and cook for 5 minutes. Reduce the heat to medium and throw in the shallots and chili and cook for another 2 minutes. Add the squash and the dried rosemary and season with salt, then cook for 5 minutes. Now pour in the wine and reduce the heat to a simmer and cook on for 30 minutes, this should mean that your squash is now tender and cooked. After your squash has been cooking for 20 minutes add the pasta to some rapidly boiling salted water and cook for 2 minutes less than the packet says. Add a lid to the squash for the final 10 minutes of cooking. Drain your pasta and add it to the squash and stir and cook for 60-90 seconds, adding a little pasta cooking liquid if required. Finally, stir in the parmesan cheese and serve. It look very delicious. 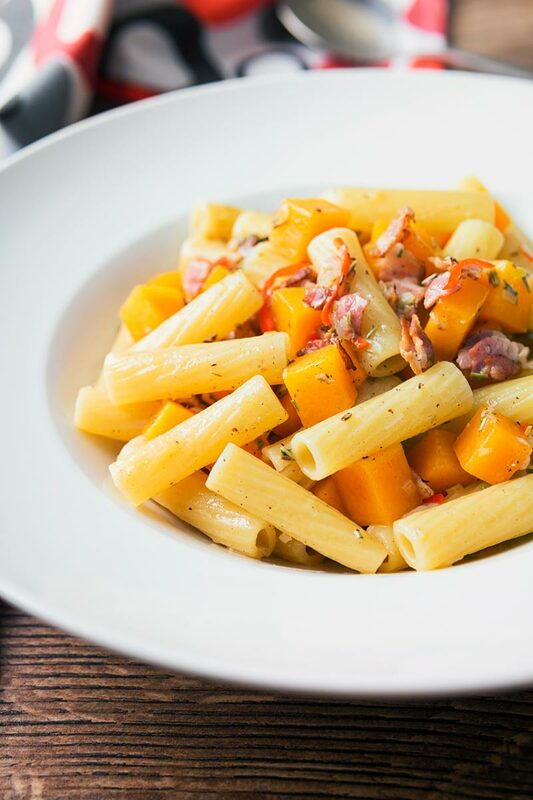 Your butternut squash pasta is perfect. Thanks for sharing. 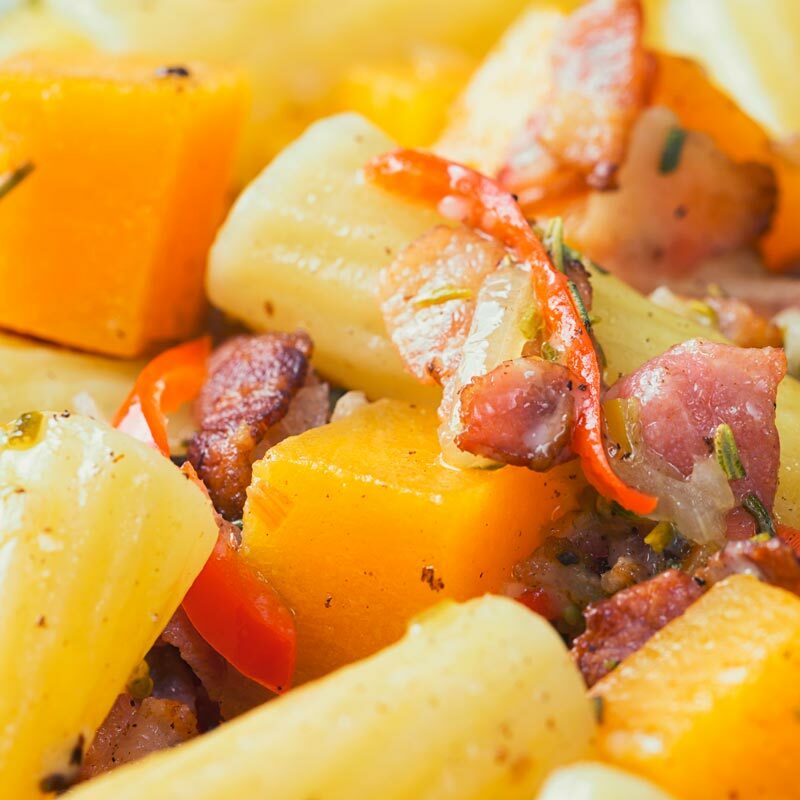 What a yummy way to use butternut squash! This looks like the perfect easy dinner idea. It is certainly very simple! Oh, Brian, this sounds so delicious! The bacon added with the butternut is a stroke of pure genius! Can’t wait to make it! Oh my word Brian, this is really a restaurant style pasta, cooked to perfection and even al dente pasta just the way I like it! 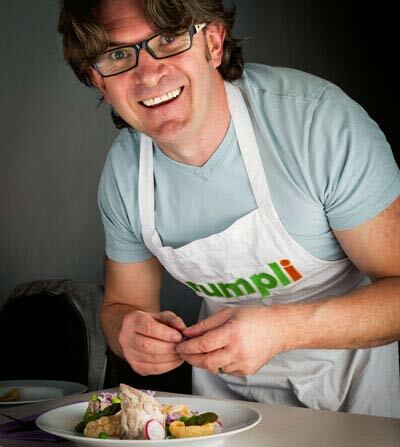 I happen to have all the ingredients, going to make your recipe for our lunch, I’m so hungry already! Thanks Patty, you are far too kind!